Greek yogurt maybe a little more expensive than regular yogurt but it is more nutritious, contains goods fats, is richer and lower in sugar. 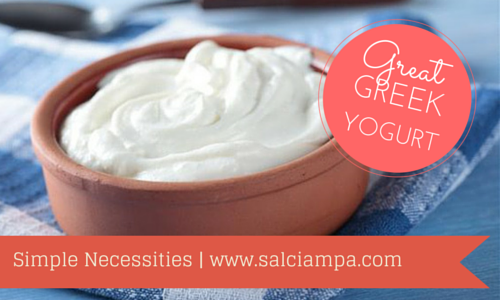 Greek yogurt is much better than your plain regular yogurt that you used to buying. Greek yogurt is an absolute power house of protein. The container that I just purchased a few days ago contains 18 grams of protein per 3/4 of a cup! To me, that's a big deal. I like to use plain greek yogurt in a couple of ways, sometimes I mix a little in my protein shake or throw in some fruit for an after dinner snack. So if you're one that's not against consuming dairy and looking for and easy source of protein, think about picking some Plain Greek Yogurt.